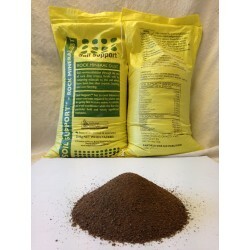 A fully composted, biologically activated, certified organic fertiliser in pellet form. Includes Poultry Manure, Bone Meal, Seaweed, Zeolite, 4 forms of Natural Nitrogen, 4 forms of Natural Phosphorus, 3 forms of Natural Potassium, 4 forms of Calcium, 2 forms of Sulphur and 2 forms of Silicon. • Terra Firma’s Poultry Manure Base. SO WHAT DOES EACH NUTRIENT DO? Nitrogen (N) - In simple terms, nitrogen promotes plant growth and supplied in the right form, along with a balanced potassium analysis will deliver strong plants and superior yield and quality. Nitrogen is associated with leafy, vegetative growth. It’s part of every protein in the plant, including enzymes so it’s required for virtually every process, from growing new leaves to defending against pests. Nitrogen is also an important part of the ’green’ in chlorophyll, giving plants their green colour and creating food and energy through photosynthesis. Lack of nitrogen shows up as general yellowing of the plant because chlorophyll density is impaired. Phosphorus (P) - The ‘energy nutrient’ enables the plant to establish strong root and shoot systems early in the growth cycle, creating the best foundation for growing, flowering and fruit set. Phosphorus is another vital element associated with photosynthesis. It works in two ways by first assisting to capture the sun’s energy and then producing the carbohydrate building blocks used in every plant growth process. Adequate Phosphorus creates a strong foundation in young plants but many people don’t realise that a plant requires 2-3 times more energy, after establishment to flower, set a crop and finish with a good yield. 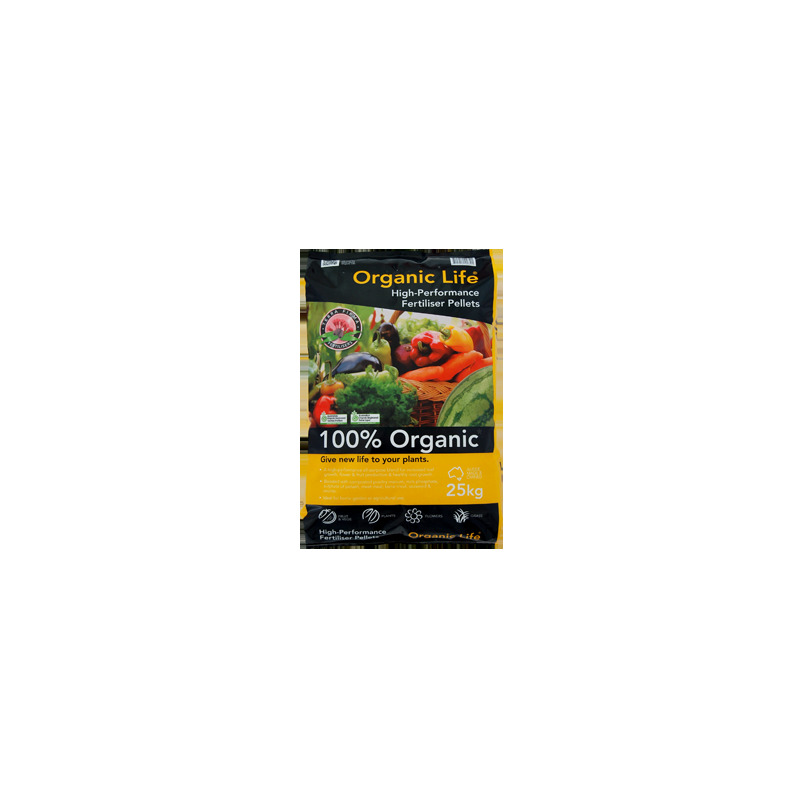 Phosphorus needs to be available to the plant every day, that’s why Organic Life® has been developed with several forms of (P) to extend the release and availability. Potassium (K) - The quality nutrient moves carbohydrates around the plant and assists in fruit filling. Potassium improves plant stress tolerance, stimulates early growth, improves the efficiency of water use within cells and aids in developing resilience against disease and insects. Calcium (Ca) - A vital nutrient needed for the cell division and strengthening the cell wall. Good calcium nutrition is associated with improved disease resistance. Calcium also helps many other plant nutrients transfer across cell membranes in the growth process of plants. Calcium is required in so many plant processes it is important for plant vigour and promoting strong growth right through the production phase and life cycle of the plant. Calcium aids in growth, and in seed formation. Sulphur (S) - Sulphur partners with nitrogen to produce quality plant proteins. Sulphur is a key component in the development of strong aromatic properties in plants like onions and garlic. Sulphur also helps plants develop natural resistance to disease and aids in growth and seed formation. Silicon (Si) - Silicon is deposited in the plant cell walls and partners with calcium to improve cell wall structural rigidity and strength, plant and leaf architecture. Silicon in plants can stimulate nutrient uptake and photosynthesis, increase natural immune response and decrease susceptibility to disease and insect damage. Silicon can also alleviate water and environmental stresses associated with water quality (salinity) and various mineral stresses. GENERAL: 100g - 200g per square metre. 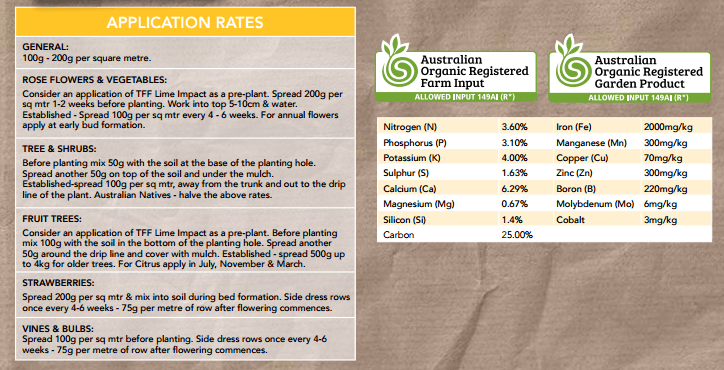 ROSE FLOWERS & VEGETABLES: Consider an application of TFF Lime Impact as a pre-plant. Spread 200g per sq mtr 1-2 weeks before planting. Work into top 5-10cm & water. Established - Spread 100g per sq mtr every 4 - 6 weeks. For annual flowers apply at early bud formation. TREE & SHRUBS: Before planting mix 50g with the soil at the base of the planting hole. Spread another 50g on top of the soil and under the mulch. Established-spread 100g per sq mtr, away from the trunk and out to the drip line of the plant. Australian Natives - halve the above rates. FRUIT TREES: Consider an application of TFF Lime Impact as a pre-plant. Before planting mix 100g with the soil in the bottom of the planting hole. Spread another 50g around the drip line and cover with mulch. 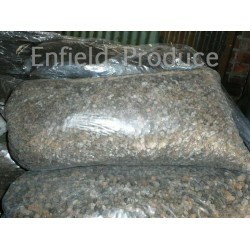 Established - spread 500g up to 4kg for older trees. For Citrus apply in July, November & March. STRAWBERRIES: Spread 200g per sq mtr & mix into soil during bed formation. Side dress rows once every 4-6 weeks - 75g per metre of row after flowering commences. VINES & BULBS: Spread 100g per sq mtr before planting. Side dress rows once every 4-6 weeks - 75g per metre of row after flowering commences. Premium grade pelletised organic poultry manure boosted with natural humates. Ideal for flowers, shrubs, natives & preplanting of vegetables. Helps hold moisture in the soil, reducing watering, and activates beneficial soil micro-organisms. Grange Cow Manure supports organic principles. Is used and recommended by professional horticulturalists. 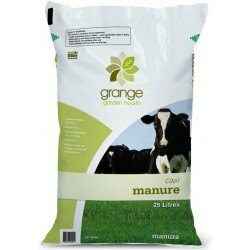 Cow Manure 35 Litre Bags. This manure is 100% cow manure straight from a dairy farm, that's been aged and put through a blender to make it finer and easier to manage. See Freight Disclaimer before ordering. 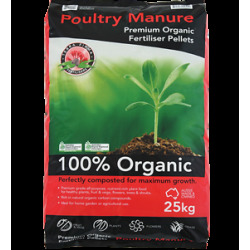 Fully composted, pelletized organic poultry manure avoids many of the inherent but misunderstood problems associated with the use of raw manures. The main issue is that raw manures flood the soil with excessive amounts of nitrate-nitrogen. 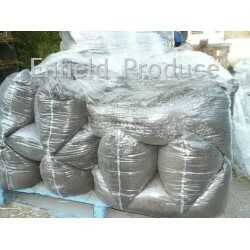 Huge 35 Litre Bags - 100% Sheep manure with nothing added, straight from country farms. SEE DISCLAIMER AT BOTTOM OF PAGE BEFORE BUYING. 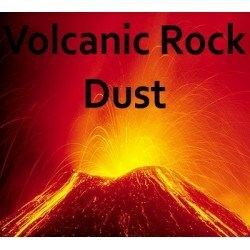 PALAGONITE (soil support) is a natural basalt rock dust soil re-mineraliser. 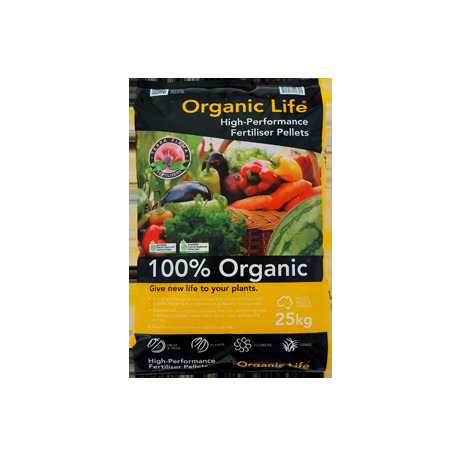 Provides macro nutrients calcium, magnesium, phosphorous and minor potassium to the soil, as well as iron and plant available silica. Provides micronutrients and trace elements such as cobalt, zinc, copper, nickel, molybdenum, and selenium. 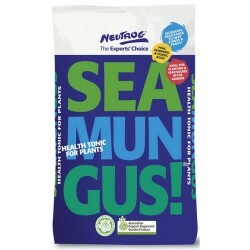 Seamungus is a soil & plant conditioner, manufactured by composting seaweed, ﬁsh, humic acid and manure. Seamungus undergoes a unique composting process, speciﬁcally developed to stabilise the nutrients, maximise nutrient availability and to ensure the product is free of any parasites, pathogens and weed seeds.